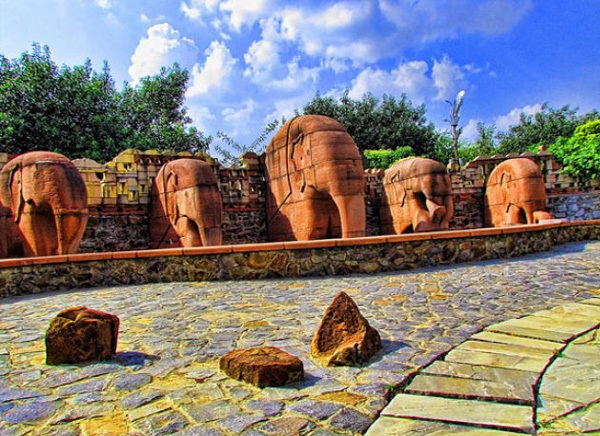 The Garden of Five Senses, inaugurated in the month of February 2003 is more than a park. It is a kind of treat to human senses as it has a lot to offer to be felt by the senses (to see, to feel, to hear, to taste, to smell). It covers an area of about twenty-acre allowing various activities that include exploration of things and interaction with people. One can see grand rocks stand higher against the sky, whereas others can be seen casually scattered on the ground. The genius sculptures of nature look alluring and captivate the visitors. Being located at Said-Ul-Ajaib village, which is near Mehrauli heritage area, is mostly visited by the tourist from every corner of India and worldwide to get the ultimate experience of this garden.